With the protagonist staring out the window, thinking about his past. With the detective squinting into the sunrise, hung over. With the protagonist waking up. Why? Because these are clichés — they’ve been done ten thousand times. They’re tired. And because, if your story opens in one of these ways, nothing is happening. In the case of dream sequences, there’s an additional reason. When readers reach the end of the scene and read, “And then she woke up,” they feel cheated. As readers, we immerse ourselves in a story by suspending disbelief. That is, while we read, we willingly suspend our knowledge that a story is fiction and accept it as true. (Thank Samuel Taylor Coleridge for the concept.) But readers generally give an author only one shot at this. If a story opens with an amazingly dramatic, action-packed, emotionally resonant scene that turns out to be a dream, readers are likely to feel that the author has pulled a bait and switch. Oh. The hero didn’t REALLY save his wife from a mob shootout. He just fell asleep on the sofa. Huh. The heroine didn’t REALLY leap into the ocean from the deck of a burning ship. She just ate too much pizza and had a nightmare. Readers invest themselves in the story. When it turns out that the drama is all in a character’s sleeping mind, they’re likely to bail. There’s always another way. And ninety-nine times out of a hundred, it will be better than opening with a character’s unconscious fantasies. If you want readers to come along for the entire ride, you need your characters to be awake and in action in the physical world from the word go. How do you deal with dreams in your manuscript? Or do you avoid them altogether? Meg Gardiner is the bestselling author of twelve thrillers. 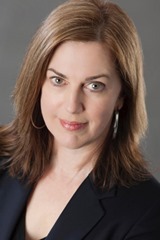 Her novels include the Edgar Award-winning CHINA LAKE and PHANTOM INSTINCT, which was chosen one of O, the Oprah magazine’s “Best Books of Summer.” She lives in Austin, Texas. My friend and fellow ITW member Tosca Lee returns to TKZ to share her #1 Rule of First Drafts. Enjoy! I’m a second or third draft writer. 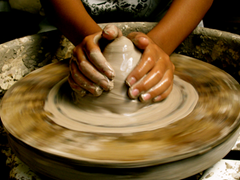 That’s the point in the process when I get to see what kind of clay I’ve really got on the wheel, when I can crimp the edges and pull out my high points, and make the dire ones worse. When I’ll stay up twenty hours straight and, after just enough sleep to make me more tired, go at it again. Because by then I have something to work with. But that first, initial draft? Pull my fingernails out from the beds with pliers, why don’t you. I have friends who turn on their playlists and lay down first drafts in a state of euphoric bliss—the weird literary equivalent of women who experience pleasure in childbirth. I have never written like that. I have moments of stream-of-conscious ecstasy that churn out sentences as coherent as word salad. But most of the time I sit in silence, stare out the window, pick at my lower lip and wonder if my last book, which may have won some award, was the last good thing I had in me. Eight novels in (ten, if you count the unpublishable ones), I have an instinct about the basic material I need to get down, more or less in order. More importantly, I have trust in the writing and editing process and faith that I can patch up the leaks—later. For now, in the early stages, I’m only interested in one thing: getting the clay on the wheel. I trust that there are seeds in there—of things real, from me, that will resonate in another soul in months and years to come. I don’t know what they are yet and it’s not my business to force them into shape. Write like no one will ever read it. “But what about the audience? You have to think about them!” Forget them. Everything you do from your edits on will be about them. But for now, write with the candor you would in a secret journal. This isn’t about pantsing or plotting. It’s about capturing the grit you need without worrying that it’s pretty or eloquent or clean enough. Don’t be pretty. Be raw. If you are an aspiring writer whose end goal is to be published, let me tell you something: you will never be as bold and daring as you are in those first years before your work gets published. Before critics post public reviews of your work and readers rank it alongside blenders on Amazon. Before even accolades usher their own kind of doubt into the next endeavor. This undiscovered period in your life is an advantage you won’t have twice. Use it. These days, I have to trick myself into following this rule. I know my agent, editor, and a movie producer are waiting for my first draft. I want them to like it. Oh, who am I kidding—I want them to tell me it’s the best thing they’ve ever read, that they wept, told their therapist, and pre-ordered 100 copies for friends and distant acquaintances. But the only way I will touch one cell of their soul is if I banish their faces from my mind. No one will read this. It is my mantra. This is me, writing secret stuff, dealing some audacious literary badassery in private. Time to edit, censor, and make coherent later. The good stuff happens now. Tosca Lee is the award-winning, New York Times bestselling author of ISCARIOT; THE LEGEND OF SHEBA; DEMON: A MEMOIR; HAVAH: THE STORY OF EVE; and the Books of Mortals series with New York Times bestseller Ted Dekker (FORBIDDEN, MORTAL and SOVEREIGN). Tosca received her B.A. in English and International Relations from Smith College in Northampton, Massachusetts with studies at Oxford University. She is a lifelong world adventure traveler and makes her home in the Midwest. To learn more about Tosca, visit www.toscalee.com. It seems like every time I meet someone and they learn that I’m a writer, they always comment that they had often thought of writing a book, too. Sometimes I think the prospect of being a published author may be the number one goal or dream of everyone who has ever been excited by a good novel. It’s natural to think, “I could do that.” And in reality, they can. But most don’t or won’t. Why? Because the dream far exceeds the labor. Like most specialized occupations, the average would-be author will remain in the dreaming stage. Few proceed to the next step: actually sitting down and writing a publishable, contemporary work of fiction. But for those that really want to take the next step, here are a few tips on getting that novel “inside us all” onto the page. First, become an avid reader with the eyes of a writer. Read as many novels as you can get your hands on. But try to read from a writer’s viewpoint. Read for technique and style and voice. Keep asking questions like: Why did the author use that particular verb? Why is the writer using short, choppy sentences? Or long, thick description? As you choose new books to read, cross over genre lines. The genre you wind up writing might not be the one you first imagined. Reading other’s work can also be inspiring. It is a source of ideas and helps to get the creative juices flowing. Next, know the marketplace and write for it. The end product must be sellable. This goes back to being familiar with your chosen genre. You may love westerns, for instance, but they can be way down the sells chart and not a good choice for a debut author. Having said that, any story in any genre can be a hit if it’s built on strong characters. Always remember that your characters make your story, not the plot. Stay on top of sub-genres and if your work falls into them. Example: Do you what upmarket fiction is? * How about YA crossover? * Middle grade fiction? * Many agents are looking for these right now. A third tip is to be true to yourself. Don’t try to push against what you feel in your heart and soul when it comes to your story. This may sound like the opposite of the previous tip, but that one deals with the business side of writing; this one the emotional. Beyond understanding the market, realize that if your heart is not in the words, the reader will know it. You can’t hide your lack of love for your writing. Another tip is to have proper training. Being a devoted reader is only a portion of the task. I’ve had the opportunity (or drudgery) of reading many first-time writer’s work. It’s astounding how many people simply don’t know how to write. I’m not talking about style or content. Forget coming up with a cool plot or unique cast of characters. I’m talking about constructing a sentence with proper use of grammar and punctuation. If you’re still in school, make sure you give your writing classes as much attention as possible. After all, they teach you the tools of your future trade. If you’re out of school or later in life, consider taking an adult course in basic English and perhaps in creative writing. They won’t teach you how to write a bestseller but can help you get your thoughts down on paper properly. Consider it a refresher course. Some colleges and universities offer degrees in writing. This is by no means a requirement to writing a novel, but it’s always a direction to go if you feel the need. And don’t forget attending writer’s workshops, conferences and joining a local critique group. Workshops are usually taught by pros; conferences have lectures and topic panels dedicated to strengthening your skills; and critique groups offer a new, fresh set of eyes to help improve your work. Finally, once you’ve finished the first pass through your manuscript, the real work begins: rewriting, editing, polishing, and finishing. There’s nothing that will turn off an agent or editor quicker than an unpolished manuscript. There are tons of books available out there on how to self-edit your work including outstanding books by James Scott Bell, Larry Brook and TKZ emeritus Jodie Renner. And getting others to take a look at it will help to reveal possible problems you missed. Edit, revise, edit, revise, repeat. There’s a saying that everyone has at least one book inside them. But writing a book is hard. It takes firm commitment and dedication. Let your story out, but do it by following these logical steps. Skipping one of them usually results in frustration, disappointment and a half-finished manuscript collecting dust in the bottom of a drawer. So what about you guys? How did you managed to finish your first book? Were you able to skip a step and jump right to a publishing contract and advance check? Any other tips to pass along to first-time authors? * Upmarket fiction blends the line between commercial and literary. YA crossover targets adults but are likely to be of interest/suitable for teens. Middle grade fiction targets ages 8-12 and has content restrictions such as no profanity, graphic violence or sexuality other than crushes. Last Sunday, James Scott Bell gave us a great look back at his High School basketball conquests, described how it felt to be in “the zone”, related his successes to writing, and gave some excellent tips on how to develop mental muscle memory to make it easier to enter the zone on a constant basis. In fact, as Jim mentioned, we hear the term in the zone used often, not only with writers, but athletes, artists, and just about any activity that requires skill, creativity and concentration. Being in the zone can last for a few minutes, a couple of hours or a whole day. For those that never seem to enter the zone, it might be because they try too hard to do so. Sort of like when we stop trying to solve a problem, the solution suddenly comes to us through our subconscious, again as Jim calls “the boys in the basement”. It can also feel like driving down the Interstate on a long trip deep in thought or chatting on a hands-free cell phone and suddenly realize I can’t remember the past 10 miles. I’ve also never been athletic, but judging from Jim’s story, I bet it’s a similar scenario: a golfer is able to tune out the surrounding crowd of tournament spectators, the dozens of network cameras, the worldwide audience, the cheers from the distant gallery as his opponents make a great putt, and he’s able to enter a place where only his game stretches out before him. The rest slips by in a blur. Personal mind control. So, in addition to Jim’s tips, what are some additional methods for getting into the zone? Some writers use the “running start” technique by reading the previous day’s work or chapter. It gets them back into the story and hopefully the new words start to flow. Others listen to music. This is something I often do. Nothing with lyrics, though. I listen to movie scores or piano and guitar solos. I find that it can help set a mood or become background “white noise” that blocks out other audible distractions. That’s because, for me, the biggest obstacle is distractions. It’s important to reduce interruptions and distractions by creating an environment where they are minimized. This means shutting my office door, closing the drapes on the windows, unplugging the phone, disconnecting Internet access, and most of all, choosing a time to write when those things can be fully managed. Doing away with distractions is no guarantee that I will enter the zone at will, but it does give me a fighting chance to at least knock on the door to one of those dark, hidden rooms in the basement and let my story flow. OK, Zoner’s. What does it feel like for you to be in “the zone”? Any tips on how you make it happen? April, 1945. The Germans have the bomb. 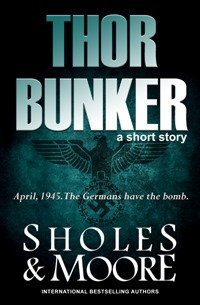 Download THOR BUNKER, A Short Story prequel to THE TOMB for only 99¢. Another reason to slow the pacing is to give your readers a chance to catch their breath after an action or dramatic chapter or scene. Even on a real rollercoaster ride, there are moments when the car must climb to a higher level in order to take the thrill seeker back down the next exciting portion of the attraction. You may want to slow the pacing after a dramatic event so the reader has a break and the plot can start the process of building to the next peak of excitement or emotion. After all, an amusement ride that only goes up or down, or worse, stays level, would be boring. The same goes for your story. A big element in controlling pacing is narration. Narrative can slow the pace. It can be used quite effectively to do so or it can become boring and cumbersome. The former is always the choice. There will always be stretches of long, desolate road in every story. By that I figuratively mean mundane stretches of time or distance where nothing really happens. Control your pacing by transitioning past these quickly. If there’s nothing there to build character or forward the plot, get past it with some sort of transition. Never bore the reader or cause them to skip over portions of the story. Remember that every word must mean something to the tale. The reader assumes that every word in your book must be important. Short chapters give the feeling of fast pacing whereas chapters filled with lengthy blocks of prose will slow the eye and the pace. What additional techniques do you use to control pacing? Max is back! THE BLADE, book #3 in the Maxine Decker thriller Series is now available in print and e-book.